Interested in picking up this awesome catch can? Check out our product page for more information! Every once in a while our engineering team has the pleasure of collaborating with our talented marketing team to produce a unique product. 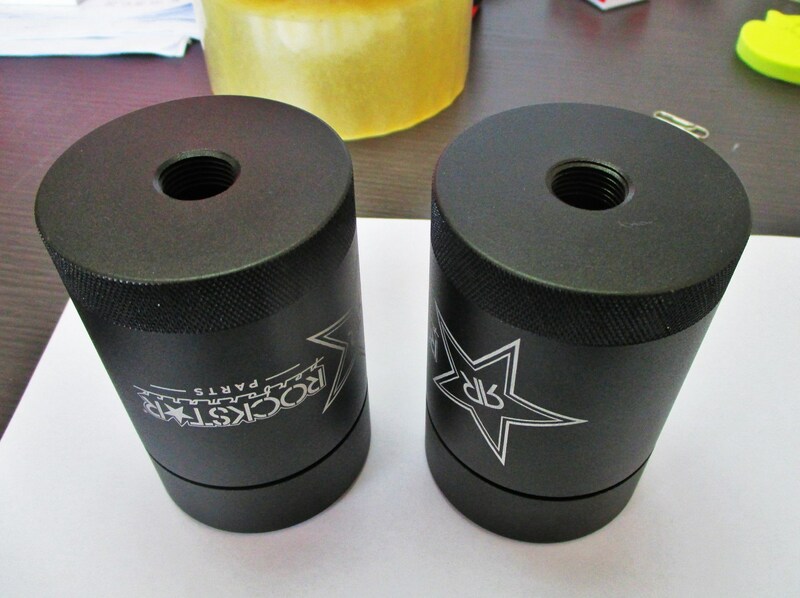 We recently worked together to produce a very slick shift knob for professional drifter, Ryan Tuerck. Our latest project is even cooler. 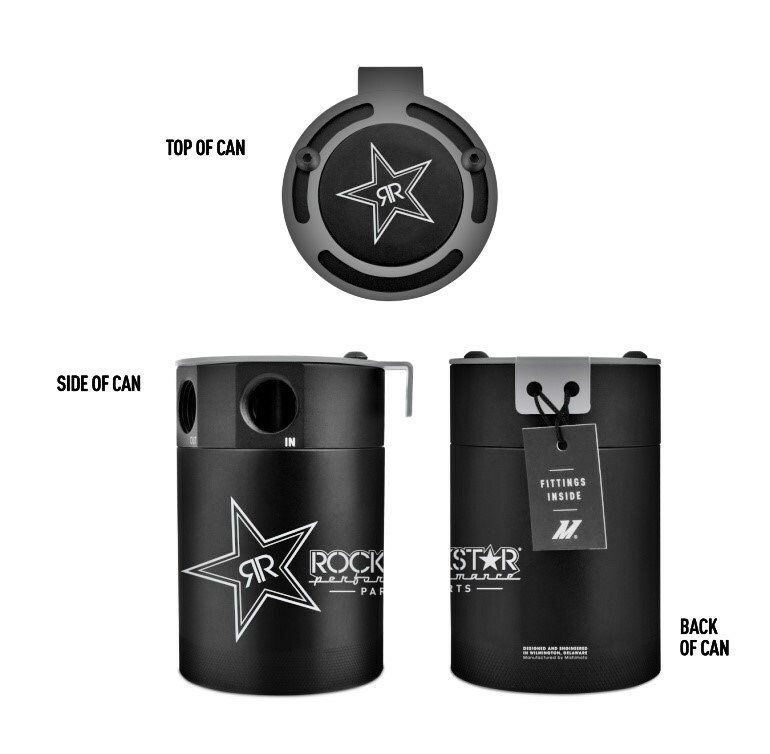 This time we are partnering with Rockstar Energy Drink and Rockstar Performance Garage to customize one of our new oil catch cans! If you aren’t familiar with the company (you must be living in a cave), Rockstar makes a variety of “energy-generating” drinks. Those cans are filled with concoctions of deliciousness that will help keep you running at full steam for those long nights in the garage, or wake you up after a long night in the garage. Rockstar doesn’t just produce its products, the company also is involved with a ton of sports, including some pretty sweet motorsports like Motorcross, Rally, and Nascar. On to the project details! Our starting point with this project was our all-new compact baffled oil catch can. This can utilizes all the features from our original baffled can while allowing for a smaller footprint. Additionally, this catch can has been finding its way into several of our direct-fit catch can systems, including the 2015 WRX catch can, the 2013+ BRZ catch can, and the 2015 Mustang EcoBoost catch can. If you are not familiar with this catch can, check out a few shots below. If you are interested in how we designed and tested this product, check out our build log at the link below. This project does not involve the modification of this product’s functionality. The core components and design will remain identical. Our catch can has proven to be extremely efficient at separating oil and fuel by-products from CCV systems, and we are extremely pleased with the design. 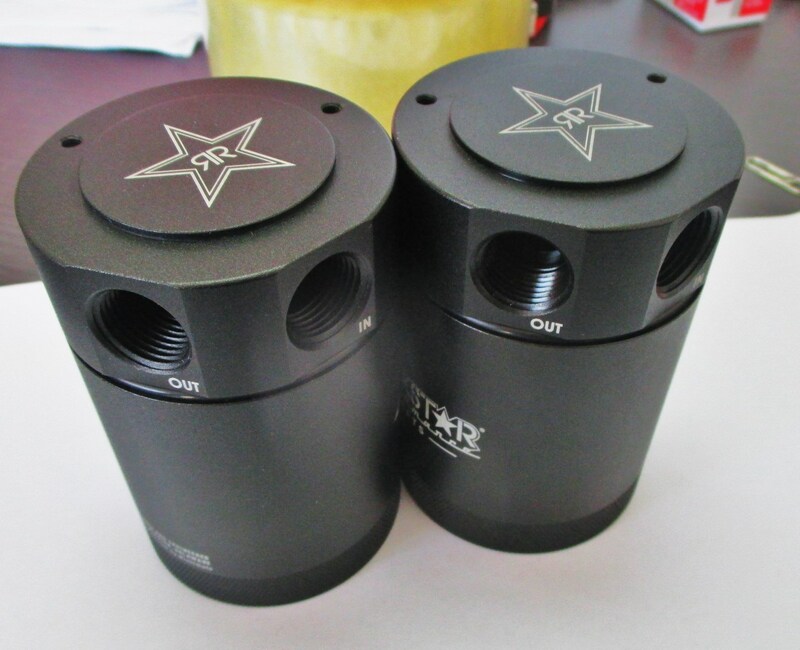 The changes we are making for this limited edition Rockstar unit are purely aesthetic. So, our next step was to put together a design that would incorporate the Rockstar brand in a subtle yet stylish fashion. Our extremely talented graphic designer, Lars, worked directly with our engineering team during the entire process. With several brains tackling this project, we soon had a 3D rendering of our final design! With our design finalized and modeled properly for manufacturing, we put together a cool shot showing the design from different points on the can. This design features a laser-etched logo, which is far more durable than any adhesive-attached logo – not that we would even think of using such a thing! Now that our design was complete, we produced a few samples to ensure that they exactly matched the design. Additionally, we passed this through the folks over at Rockstar to be sure they were on board with what we had created. Check out our sample units! Finally, you might already know that we do not simply pack our products into brown boxes and ship them out. Our marketing team has been focusing on providing premium packaging for our products. We want our products to enhance the Mishimoto experience for our customers, beginning with receiving and opening the package, all the way to installation. Our unique standard packaging for the catch can is shown below. As usual, our stellar graphic design team hit this one out of the park. 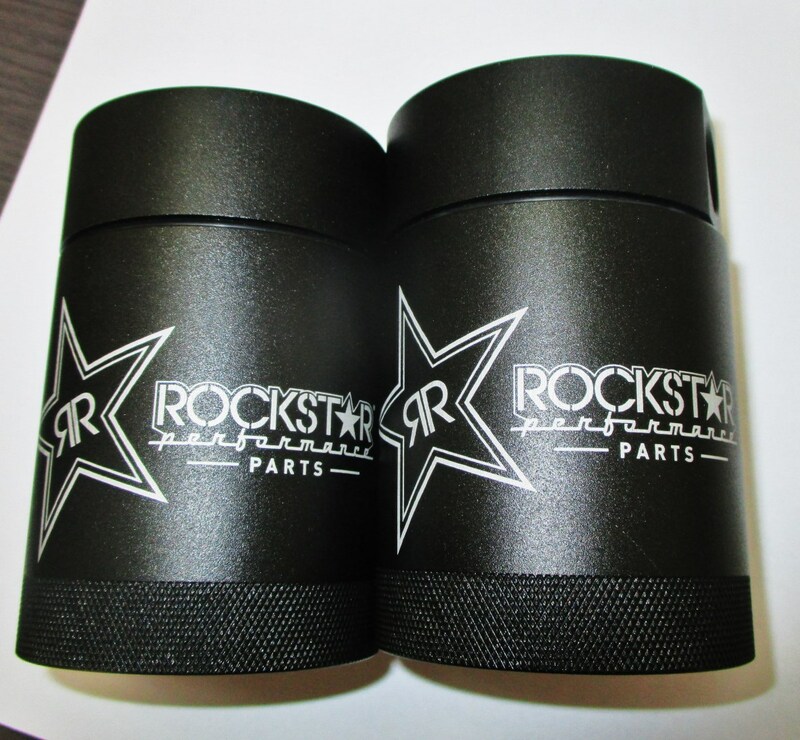 Next, we wanted to modify the packaging slightly to distinguish the Rockstar can from our standard version. Check out our awesome packaging! A look at our finished product! And the project is complete! 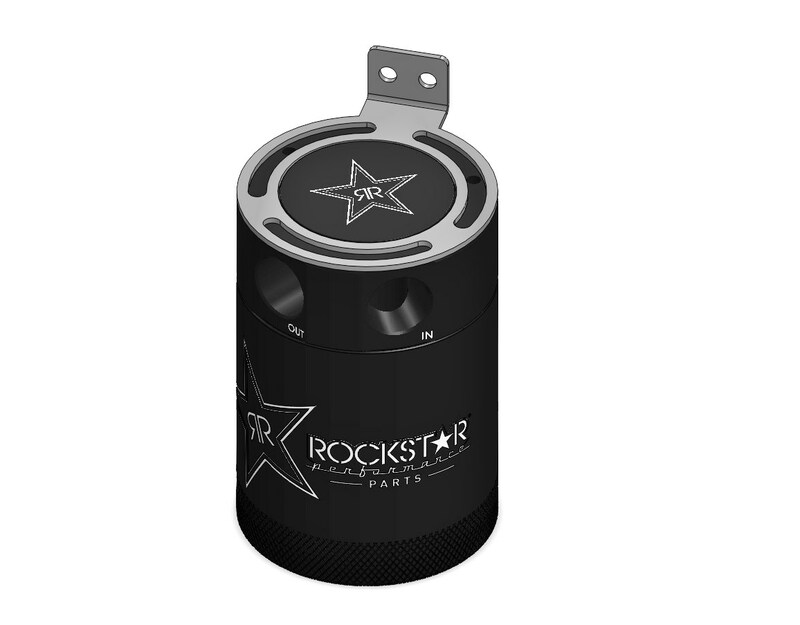 Working alongside Rockstar, we created an awesome catch can design for you energy-drink junkies! Check out a neat video showing off this catch can! Look for this to hit the shelves soon!